As a comedy fan, Iâ€™ve heard the name Wayne Federman thrown around for a while. I really had no idea that it was because the man is a bit of an institution in the alt-comedy world and has been doing comedy for almost three decades. With such a long career, itâ€™s no wonder the manâ€™s comedy is being collected in the form of a chronicle a.k.a. The Chronicles of Federman. This beautiful digipack album is split into three discs, with live recordings of bits and routines from the Eighties, Nineties and his more current stuff. I gotta say that there is an inherent punk rock aspect to this album that I love as it kind of plays like a bandâ€™s greatest hits and B-sides throughout the years including rough-sounding demos. Itâ€™s really good at what itâ€™s trying to do which is to capture the gist of Federmanâ€™s standup act in a particular time in his life. But itâ€™s this same punk rock aspect of Chronicles of Federman that doesnâ€™t allow it to be a really profound stand-up album. Most comedians have a point theyâ€™re trying to make and a ride theyâ€™re trying to take the audience on. Â Here itâ€™s all rapid-fire gags jump-cut from different sets played back to back, and most of them quite enjoyable actually. The man certainly knows how to write a joke about just about anything from music to politics to sports and will even play an instrument (or two) to mix up the set. 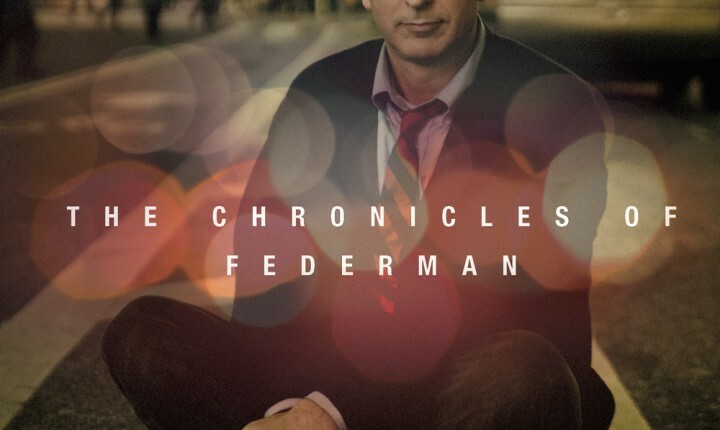 So yeah, it would have been nice to hear a whole hour and see how his comedy breathes in that time, but Chronicles of Federman is still a remarkable album that impresses with all the prime cuts itâ€™s carved out for us.